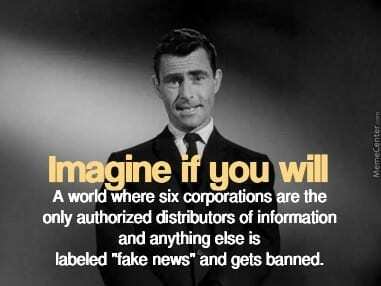 Actually there is no need to imagine. It's happening already. The date – April 11, 2019 – will live in infamy in the annals of Western “values” and “freedom of expression.” The image is stark. A handcuffed journalist and publisher dragged out by force from the inside of an embassy, clutching a Gore Vidal book on the History of the US National Security State. The US magically erases Ecuador’s financial troubles, ordering the IMF to release a providential $4.2-billion loan. Immediately after, Ecuadorian diplomats “invite” the London Metropolitan Police to come inside their embassy to arrest their long-term guest. Let’s cut to the chase. Julian Assange is not a US citizen, he’s an Australian. WikiLeaks is not a US-based media organization. If the US government gets Assange extradited, prosecuted and incarcerated, it will legitimize its right to go after anyone, anyhow, anywhere, anytime. The case by the US Department of Justice (DoJ) against Assange is flimsy at best. Everything has to do essentially with the release of classified info in 2010 – 90,000 military files on Afghanistan, 400,000 files on Iraq and 250,000 diplomatic cables spanning most of the planet. Assange is allegedly guilty of helping Chelsea Manning, the former US Army intel analyst, to get these documents. But it gets trickier. He’s also allegedly guilty of “encouraging” Manning to collect more information. For the moment, Assange is charged with “conspiracy to commit computer intrusion.” The indictment argues that Assange helped Manning to crack a password stored on Pentagon computers linked to the Secret Internet Protocol Network (SIPRNet). In March 2010 chat logs obtained by the US government, Manning talks to someone alternatively named “Ox” and “press association.” The DoJ is convinced this interlocutor is Assange. But they must conclusively prove it. None of this holds up. US corporate media routinely publishes illegal leaks of classified information. Manning offered the documents he had already downloaded to both the New York Times and the Washington Post – and he was rejected. Only then did he approach WikiLeaks. The allegation that Assange tried to help crack a computer password has been doing the rounds since 2010. The DoJ under Obama refused to go for it, aware of what it would mean in terms of potentially outlawing investigative journalism. No wonder US corporate media, deprived of a major scoop, subsequently started to dismiss WikiLeaks as a Russian agent. The current DoJ charges – basically stealing a computer password – are just the tip of the avalanche. At least for now, publishing is not a crime. Yet if extradited, Assange may be additionally charged with extra conspiracies and even violation of the 1917 Espionage Act. Even if they must still seek consent from London to bring further charges, there’s no shortage of DoJ lawyers able to apply sophistry to conjure a crime out of thin air. 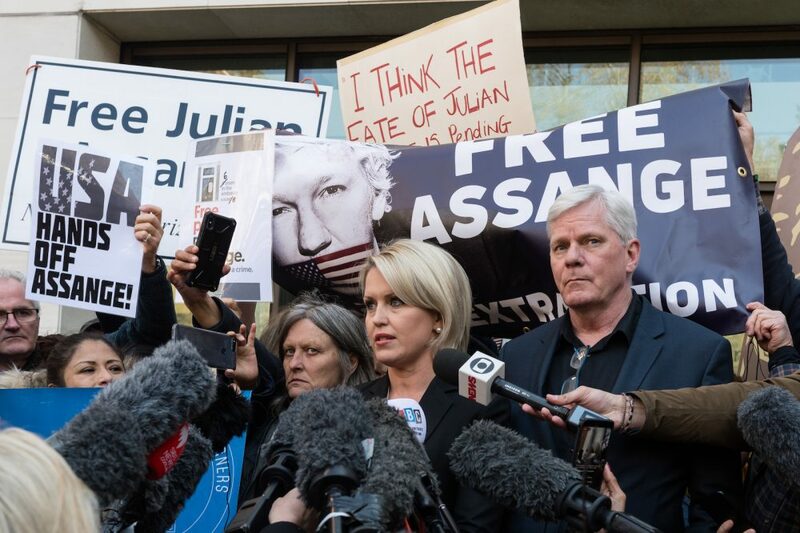 Jennifer Robinson, Assange’s very able lawyer, has correctly stressed his arrest is “a free speech issue” because it “is all about the ways in which journalists can communicate with their sources.” The invaluable Ray McGovern, who knows one or two things about the US intel community, has evoked a requiem of the fourth estate. The full context of Assange’s arrest comes to light when examined as sequential to Chelsea Manning spending a month in solitary confinement in a Virginia jail for refusing to denounce Assange in front of a grand jury. There’s no doubt the DoJ tactic is to break Manning by any means available. The ball is now in a UK court. Assange will most certainly linger in prison for a few months for skipping bail while the extradition to the US dossier proceeds. The DoJ arguably has discussed with London how a “correct” judge may deliver the desired outcome. Assange is a publisher. He leaked absolutely nothing. The New York Times, as well as The Guardian, also published what Manning uncovered. Collateral Murder, among tens of thousands of pieces of evidence, should always be at the forefront of the whole discussion – this is about war crimes committed in Afghanistan and Iraq. So it’s no wonder the US Deep State will never forgive Manning and Assange, even as the New York Times, in another glaring instance of double standards, may get a pass. The drama will eventually need closure at the Eastern District of Virginia because the national security and intel apparatus has been working on this screenplay, full-time, for years. What amounts to a de facto declaration of war underlines how dangerous WikiLeaks actually is, just because it practiced investigative journalism. 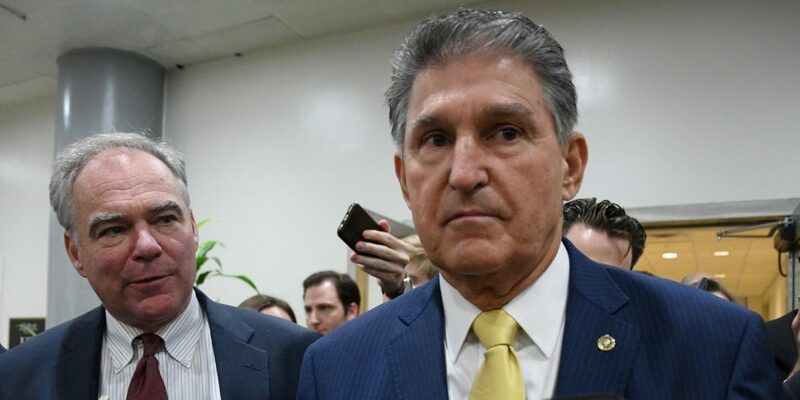 Democrat Joe Manchin (forefront). He looks like a gangster because he thinks and acts like a gangster. Yet more proof that Democrats are as corrupt and abominable as the Repugs. Lesser evil anyone? The current DoJ charges have absolutely nothing to do with the debunked Russiagate. But expect the subsequent political football to be bombastic. The Trump camp at the moment is divided. Assange is either a pop hero fighting the Deep State swamp or a lowly Kremlin stooge. At the same time, Joe Manchin, a southerner Democrat Senator, rejoices, on the record, as an ersatz 19th-century plantation owner, that Assange is now “our property.” The Democrat strategy will be to use Assange to get to Trump. And then there’s the EU, of which Britain may eventually not be part of, later rather than sooner. 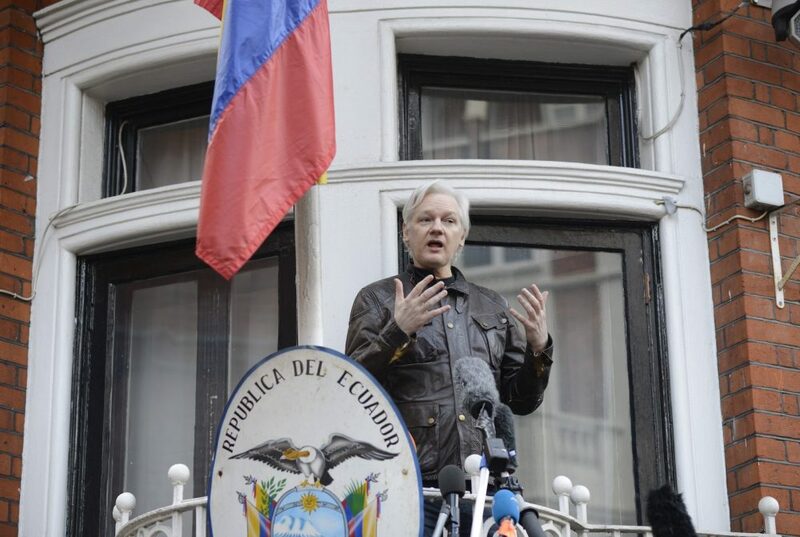 The EU will be very vigilant on Assange being extradited to “Trump’s America,” as the Deep State makes sure that journalists everywhere actually do have a right, to always remain silent. Pepe Escobar is a Brazilian-born leading independent correspondent. Be sure to get the most unique history of the Russo-American conflict now spanning almost a century! The book that every American should read. Nuclear Armageddon or peace? That is the question. And here’s the book that answers it. How did we come to be in this horrid pickle? Join the discussion! Read Ron Ridenour’s provocative bestseller The Russian Peace Threat, the most scathing and irrefutable exposé of US foreign policy and its malignant obsession with the elimination of Russia as a countervailing force in world affairs. Buy it today direct from us. You don’t have to patronize Amazon. Just click on the bar below. Get the definitive history of the Russo-American conflict today!